Fisherman lowers his nets. 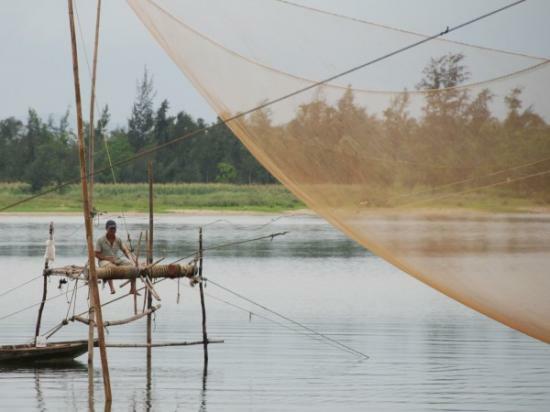 This fisherman moved from net to net by boat and lowered each net into the water using the wheel. Anyone that says that the contraptions made of coconuts and bamboo on “Giligan’s Island” are not realistic has obviously never been to Vietnam. I nominate this one to be entered into UAL's annual photo contest! this looks great Mark.